In the Japanese countryside, parents often lament about grown children who balk at taking over the family farm, turning away from what they see as a lifestyle defined by the dreaded "three K's"—kitsui, kitanai, and kiken (demanding, dirty, and dangerous). But no longer: A new generation of young farmers is striving to preserve the traditional family farm by revamping farm life so that the three K's now stand for kakko yokute, kando ga atte, and kasegeru—cool, exciting, and profitable. Part of the transformation lies in taking a different approach to farm management. But like all such transformations, a big part is simply taking a different attitude. 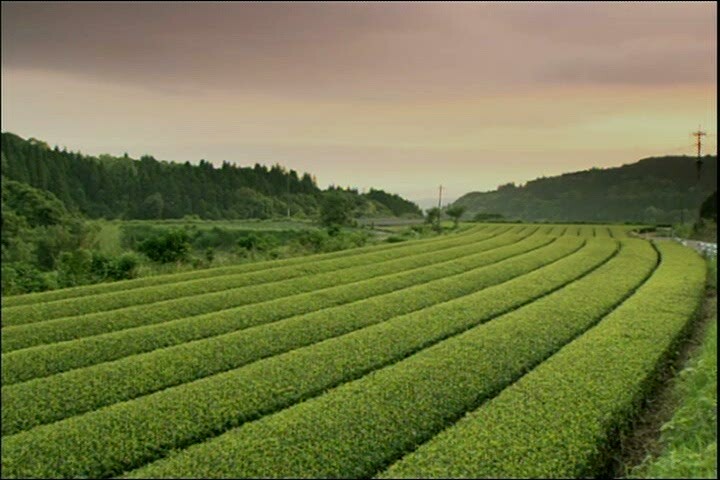 A screen capture from one of our "Stringing Tea" documentary videos.